Latest data shows seven car companies have equipped less than 20 percent of their cars with AEB. 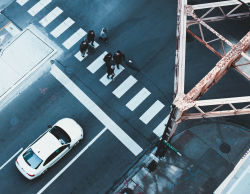 March 22, 2019 — Automakers are slowly equipping their new vehicles with automatic emergency braking (AEB) as they work toward meeting a voluntary deadline of September 1, 2022. 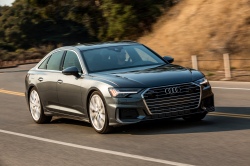 In place of mandating new vehicles come equipped with the technology, the National Highway Traffic Safety Administration (NHTSA) allowed 20 automakers to agree on a voluntary basis to meet the deadline. Agreeing to meet the voluntary guidelines are Audi, BMW, Fiat Chrysler, Ford, General Motors, Honda, Hyundai, Jaguar Land Rover, Kia, Maserati, Mazda, Mercedes-Benz, Mitsubishi Motors, Nissan, Porsche, Subaru, Tesla Motors, Toyota, Volkswagen and Volvo. NHTSA calls it a "voluntary commitment" by the 20 automakers to equip light-duty cars and trucks with a gross vehicle weight of 8,500 pounds or less with low-speed automatic emergency braking systems. 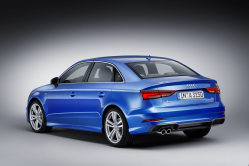 The systems include forward collision warning and crash imminent braking to reduce rear-end collisions. AEB uses radar, lidar (reflected laser light) and cameras for a forward collision warning system that gives a driver audio or visual warnings when a frontal crash is imminent. This is combined with crash imminent braking that automatically applies the brakes if the driver doesn't respond to the warnings. According to the Insurance Institute for Highway Safety (IIHS), AEB technology has the potential to prevent 12,000 injuries and 28,000 crashes by 2025 if all the automakers meet the deadline. 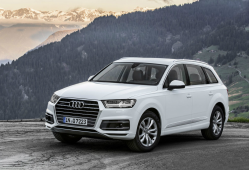 The latest data shows ten automakers have reported equipping more than half of their vehicles with the technology on vehicles manufactured September 1, 2017, to August 31, 2018. Tesla takes the top spot with 100 percent of its vehicles equipped with AEB, followed by Mercedes-Benz (96 percent), Volvo (93 percent) and Toyota (90 percent). According to NHTSA, the remaining automakers vary in their reports of vehicles equipped with AEB. 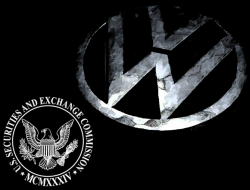 The voluntary agreement suggests automakers submit yearly progress reports until they conform to the agreement. 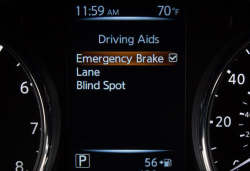 Although automatic emergency braking shows great promise in reducing rear-end crashes, the technology isn't perfect and can sometimes cause more harm than good. This can be seen in a defect petition submitted to NHTSA to investigate AEB features in Nissan Rogue SUVs. Based on customer complaints, the automatic emergency braking activates even though no objects are in the path of the SUVs.